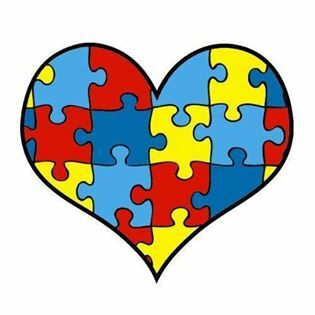 An official blog delivers true stories and articles about autism. Also known as “I Found A Story: The Forth Chapter.” You never know what may come of a funny answering machine message. That act would lead to one of the most unusual friendships of his life. When Phil and his family returned to Maryland from Easter vacation, he listened to his voice messages. One gentleman caller apologized for dialing the wrong number. But, he added, he’d heartily enjoyed the poem (“My little dog must think it queer/To hear my voice when I’m not near/It causes her poor heart to ache/And fills her with a pang of fear”). Phil laughed and thought nothing more of it—until the phone rang a few days later. The two men talked. John, now 73, lived in Cheyenne, Wyoming. It turned out that his brother’s phone number was different from Phil’s by one digit, thus the wrong number. Phil inquired about John’s raspy, hollow voice. Was he feeling OK? Sure, just some heart trouble. Had a bypass. “Before hanging up, I told him to call back anytime,” recalls Phil. Whether to hear more of the poem (“She gives her tiny tail a shake/As if she knows it’s a mistake/If I were there, she’d get a treat/But since I’m not, a nap she’ll take”) or just to talk. That was 11 years ago. They’ve spoken on the phone a few times a month ever since. John initiates most calls, but Phil will ring if a while has passed and he has any reason to worry. “We seem to always connect when there’s been a storm or a big sports event,” Phil says. “Like old friends?” I prod. I’m trying to understand from Phil what draws these men to each other. “We are old friends,” Phil says. No need to overthink it. John, who over 11 years has shared a little of himself at a time, has woven himself into the fabric of Phil’s life. In the years since, John’s 25-year job working for the Veterans Administration provided enough spending money to travel, mostly to visit family and friends. He has been to China, Israel, Turkey, and all 50 states. Three years ago, 50 people came from far and wide for John’s surprise 70th-birthday lunch. Phil couldn’t make it. They’ve planned to meet twice since, but circumstances conspired against them. Neither minds this latest “haven’t.” Phil and John haven’t gone to a game together, had a cup of coffee together, or sat on the other’s sofa. Their friendship is based on the simple act of picking up the phone. Two men checking in, talking about football, and maybe sharing stories. “My best friend is someone I’ve not yet met in person,” says John. It’s as simple, and as extraordinary, as that. Liz Vaccariello is a former editor-in-chief of Reader’s Digest and Prevention magazines, now worked as a editor of Parents magazine from Meredith Corp. With her husband, Steve, and mom to twin daughters, Sophia and Olivia. Author of her book, Flat Belly Diet! (2009), 400-Calorie Fix (2010), The Digest Diet (2012), 21-Day Tummy (2014), and The Stop & Drop Diet (2015). Liz regularly appears on national programs such as The Doctors, Today, CBS This Morning and Dr. Oz. She has appeared on Dr. Phil, The View, Regis & Kelly, Extra and two seasons of The Biggest Loser.